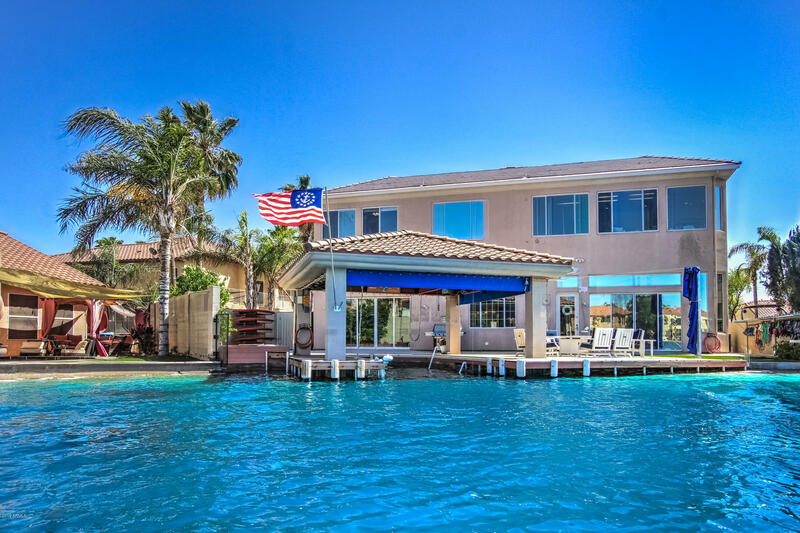 All PLAYA DEL REY AMENDED homes currently listed for sale in Gilbert as of 04/19/2019 are shown below. You can change the search criteria at any time by pressing the 'Change Search' button below. If you have any questions or you would like more information about any Gilbert homes for sale or other Gilbert real estate, please contact us and one of our knowledgeable Gilbert REALTORS® would be pleased to assist you. "Do you love skiing & lake life? Would you like to be able to ski, wakeboard, jet-ski or paddle board every day of the year? If so, we have the PERFECT LAKEFRONT PROPERTY for you! This 5 bed (plus loft) / 5 bath two-story home w/ NEXT GEN SUITE is in the private lake community of Play del Ray on a crystal blue lake w/ a 1/2 mile loop which allows all types of motorized boats & jet skis, as well as swimming. The backyard/dock has brand new, heat resistant deck (no burning feet! ), boat dock w/ moto"
CAN YOU SAY NO H O A ?? ?